For more information or to schedule an appointment call 215-343-4036 today. Mark Feeney, DC and Dr. Kristen Doyle are chiropractors serving Jamison and the surrounding communities.  Our doctors and the rest of the friendly staff at Jamison Chiropractic Center are dedicated to chiropractic solutions to target your unique needs, whether you are suffering from back pain, neck pain, headaches, or even just plain old muscular tightness and tension. You may need pain relief after suffering an accident, experiencing an injury, or if you have a specific condition such as chronic back pain or a spinal condition; even if you just want to improve your overall health, our doctors can help you achieve your wellness goals! At your first visit to Jamison Chiropractic Center, our doctors will give you a full evaluation to see if chiropractic care is right for you. If there is a good fit, we can develop a plan of chiropractic care that is specific to your condition.We will work with you to set health goals that you are comfortable with. There are no contracts to sign and no mandatory appointments. We strive to maintain "in-network" with insurance carriers, allowing our patients to achieve their highest benefit levels. We also offer affordable self-payment options for patients without chiropractic coverage. If you are new to seeing a chiropractor and want to find out more, please call 215-343-4036 to receive personalized answers to your questions from our friendly team. We also welcome referrals, so feel free to use the "Send to a Friend" link located at the bottom of every page to share our health information with your friends and loved ones. Hours are subject to change without prior notice. Call the office to schedule your appointment. Jamison Chiropractic will never sell/share your personal information. Please be aware of a recent phone scam involving alternative electric/power sales. No one from this office will ever attempt to sell you anything over the telephone. We will only contact you for appointment reminders with your direct consent.